Hand #190: Joseph Di Rosa Rojas (pictured) moves all in from the small blind for 6,400,000 and Vinicius Lima instantly calls from the big blind. Rojas is at-risk and needs to connect with one of his two cards to stay alive. The flop lands to give Lima two-pair but leave Rojas outs to to a queen or running spades for a chop. 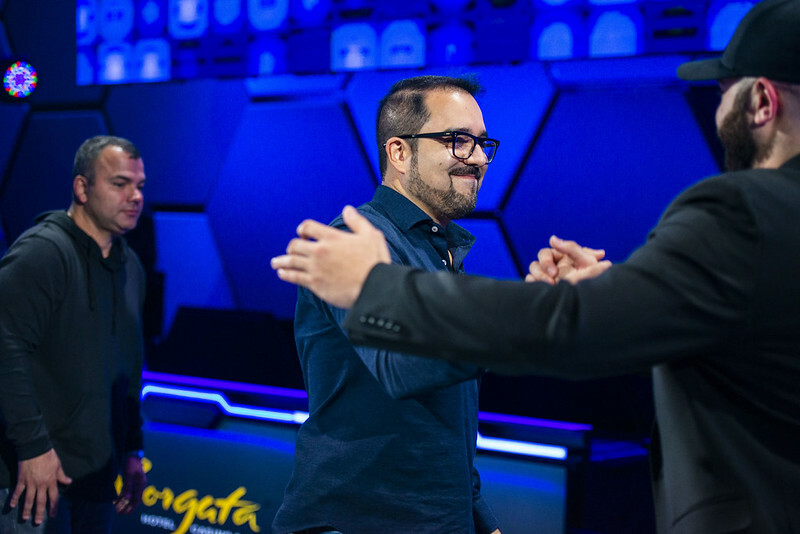 The turn falls the changing little, and when the , Rojas is eliminated in third-place for a $359,555 payday.